Brian De Palma's Alfred Hitchcock tribute, Sisters, finally checks itself into HD with a masterful Blu-ray release from the Criterion Collection. The film borrows from a variety of Hitchcock's films taking story elements and plot beats, tosses them into a stew, and creates something new, thrilling, horrifying, and occasionally very humorous. With a terrific turn from Margot Kidder, the film is brisk and quick and keeps you on edge the whole way through. 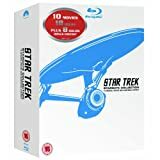 Criterion has done an impeccable job with this release giving the film a fresh new 4K restoration and matched with an impressive range of bonus features to dig through. A worthy upgrade over the previous DVD, this is another Must Own for Criterion and Brian De Palma collectors. 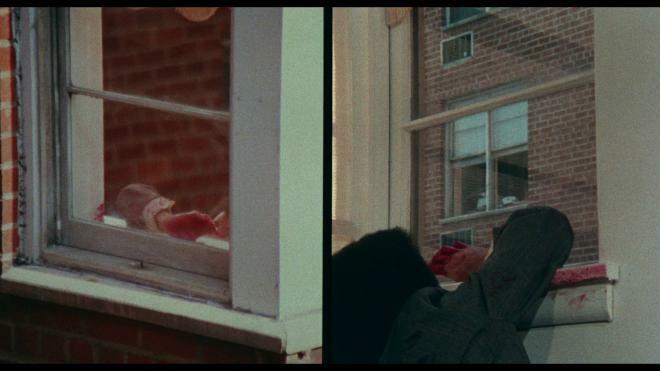 New York investigative journalist Grave Collier (Jennifer Salt) just witnessed the murder of a man in the apartment that belongs to her neighbor Danielle Breton (Margot Kidder). Only the police can't find any evidence of a crime. Danielle seems to have an answer for everything the police throw at her, but Grace can't shake it - she knows what she saw. Now she has to prove it. With the help of P.I. 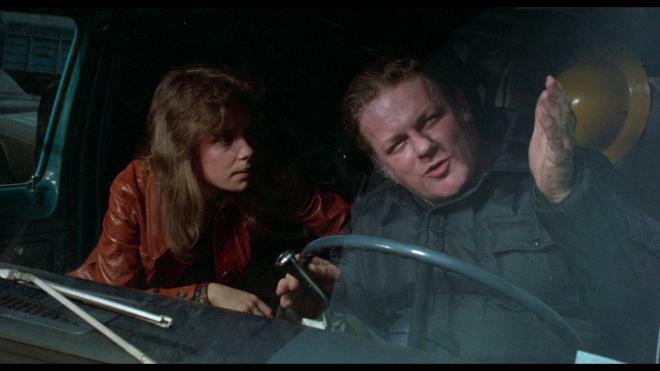 Joseph Larch (Charles Durning), Grace begins to dig up the truth about Danielle, her husband Emil (William Finley) and Danielle's identical twin sister Dominique whose apparent last known residence was a near-by mental health facility with a checkered history of its own. De Palma may get a lot of criticism tossed his way for repeatedly aping Alfred Hitchcock's movies and techniques. I had a film school professor dismiss most of his films as photocopies of better filmmaker's work. And to be fair, there is some truth to that - especially when looking at Sisters, however, if Brian De Palma is just a copycat - he does it really well! From the shooting style to the plot details to the editing, right down to the Bernard Herrmann score - Sisters isn't a photocopy of Hitchcock's films but is instead a fitting tribute to the master of suspense from an adoring fan. Sisters may heavily borrow story elements and plot beats from films like Psycho, Rear Window, Rope, Vertigo, and a little dash of The Trouble with Harry for a sprinkling of humor. De Palma's little opus cribs bits and pieces from all of these films, put them in a blender, presses "puree" and creates a concoction that has a familiar flavor but is unique unto itself. You may feel like you've seen Sisters before, but there's enough new and exciting going on that you never feel ahead of the film. Through it all, you get to experience some terrific performances from Margot Kidder, Jennifer Salt, and an especially creepy turn from William Finley. Toss on Charles Durning for some earnest comic relief and you've got a hell of a picture. I know this isn't most folk's favorite De Palma film - and admittedly it's not his best - but for me, it's probably one of the most satisfyingly entertaining films of his early career. Where Dressed To Kill, Carrie, and Blow Out are signature works within the Horror/Thriller genre - Sisters plays as more as the underdog sibling of the group content with its own sense of horror and humor. I've always thought this was a low-budget well-made ride of a film. 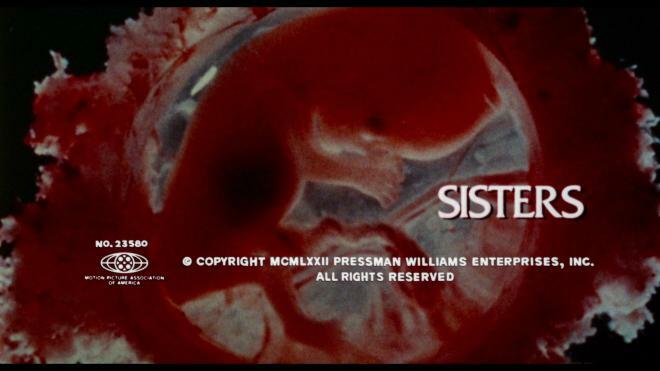 If I was introducing someone to De Palma's films, I probably would start with something else, but I would absolutely make Sisters part of the curriculum. Sisters is released from the crazy house onto Blu-ray courtesy of Criterion in a single disc set. Pressed onto a Region A BD-50 disc, the disc is housed in a standard hard clear case with spine number 89 and comes with an illustrated booklet with a great essay by film critic by Carrie Rickey as well as an archival interview with director Brian De Palma detailing his working relationship with Bernard Herrmann. The disc loads to an animated main menu with Criterion's traditional navigation system. This is one of those days like Silence of the Lambs where I really wish Criterion was on the 4K UHD Blu-ray bandwagon. This is a beautiful new 4K restoration sourced from the original 35mm negative that is practically flawless. The details, the colors, black levels, contrast - it's practically perfect! Grain is present - and depending on the sequence in question - can be thick, but never too intrusive leaving a very film-like presentation. Details are very impressive from the smallest facial features to the impressive production design and costuming, I honestly felt like I was seeing certain elements for the first time. Colors are bright and very bold with some very strong primaries - that blood is a real kick to it. Black levels are strong with some deep inky colors and whites are very strong without any detracting blooming. 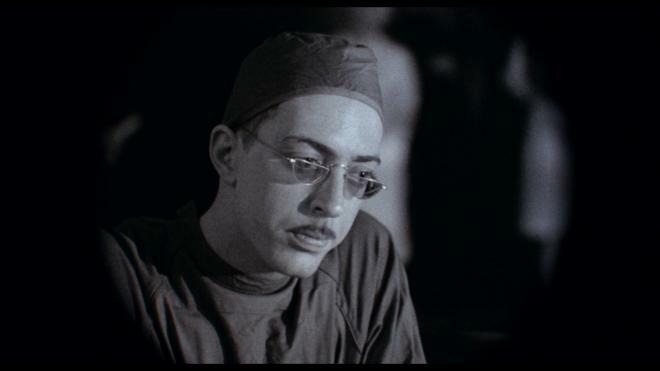 There are several sequences shot on 16mm with heavily stylized photography - namely the damn creepy black and white hospital scene that looks terrific. Previous releases could look a little soupy during the 16mm sequences but now details are crisp and clear with even whites and nice deep black levels. The nightmare sequence is equally impressive. While I will say that in my experience of seeing this film on an old ravaged 35mm print and the previous DVD, the English LPCM 1.0 mono track provided Sisters is the best I've heard it - however - I'm not 100% overwhelmed by it. On the plus side of things, the dialogue is crystal clear and voices come through with great clarity - even during the distorted and freakish nightmare sequence. Sound effects are equally impressive and impactful - particularly during the opening murder sequence and the subsequent coverup effort sounds great - it's a tense sequence and I love it. Where I have a bit of a dodge with this track is that the Bernard Herrmann score can sound a bit flat at times. Key sequences like the opening credits and the murder scene sound great but accompanying scenes where the music is used to fill some silent bits and build suspense it just doesn't have the punch I would have hoped for or expected. Overall this is a very good audio mix, better than it's probably ever sounded outside of the original premier releases, but I'm a huge Bernard Herrmann fan, this is one of my favorite scores and I would have liked to hear some more oomph in that department. Really it's a small gripe and I'm probably just being a bit prickly but it's an ever so slight sticking point in a practically flawless mix. 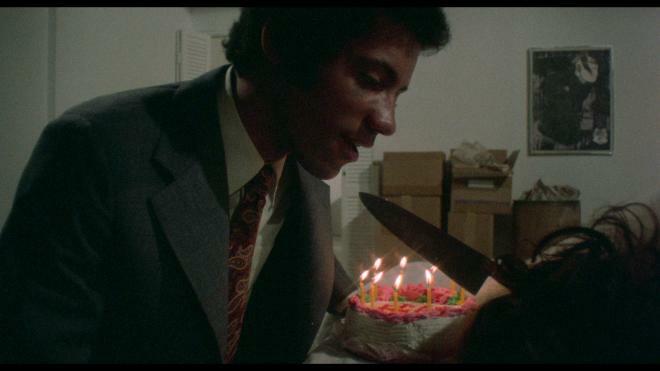 In keeping with Criterion's standard for excellent relevant and worthwhile bonus features, Sisters is packed with some new and archival interviews with the cast, and director Brian De Palma. There may not be a huge quantity of features here, but the quality of each piece offers a lot of information about the making of the film. The Autopsy (SD 26:32) featuring interviews with Brian De Palma, Charles Durning, William Finley, Editor Paul Hirsch, and producer Edward R. Pressman. Brian De Palma at the AFI, 1973 (audio only 92:00) Brian De Palma Q&A plays alongside the film as a sort of audio commentary track. 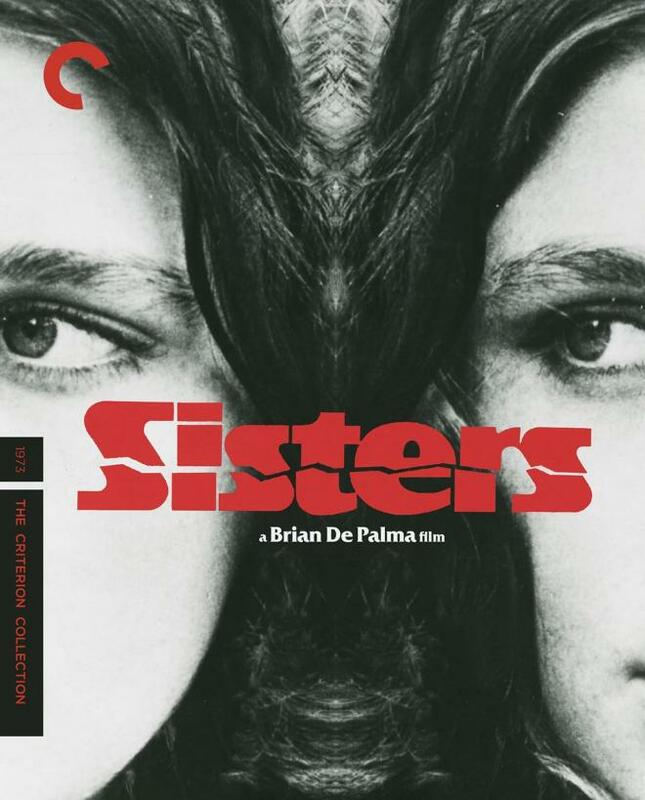 Brian De Palma's Sisters has been the Criterion Collection release I've been looking forward to seeing a worthwhile upgrade to Blu-ray since the format was announced. I'm so happy that it's finally here and looks and sounds better than ever! Even if I wish that the Herrmann score had a little more punch to it, this is the best presentation of De Palma's Sisters I've seen. Admittedly it's not his best film, but it's one of my favorites and I'm very excited to have this release. Criterion stabbed the Blu-ray with a picture perfect video transfer sourced from a brand new 4K restoration and a cracking-good audio mix. There may not be a ton of bonus features, but what's here is a great batch of material. If you're a fan of De Palma's earlier films - this is another excellent, Must Own release from Criterion.